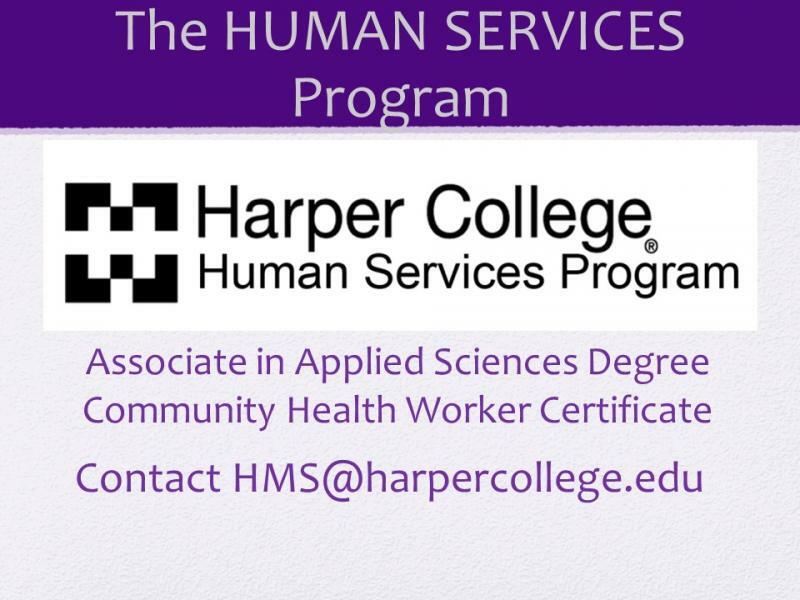 The Human Services Program of Harper College offers an Associate in Applied Science Degree, which provides the academic and experiential base necessary to qualify students for employment or transfer to a Bachelor's level education in Human Services or Social Work field. The "Human Services Experience" inside and outside of the classroom includes opportunities for experiential education, interactions with community resources, service learning, and ongoing application of the roles and responsibilities of a successful Human Services professional. The award-winning Human Services Student Organization, know as the HMS Club, provides professional development and service experiences to students as an extension of the Human Services Program. Copyright 2016 Northwest Suburban Alliance on Domestic Violence. All rights reserved.